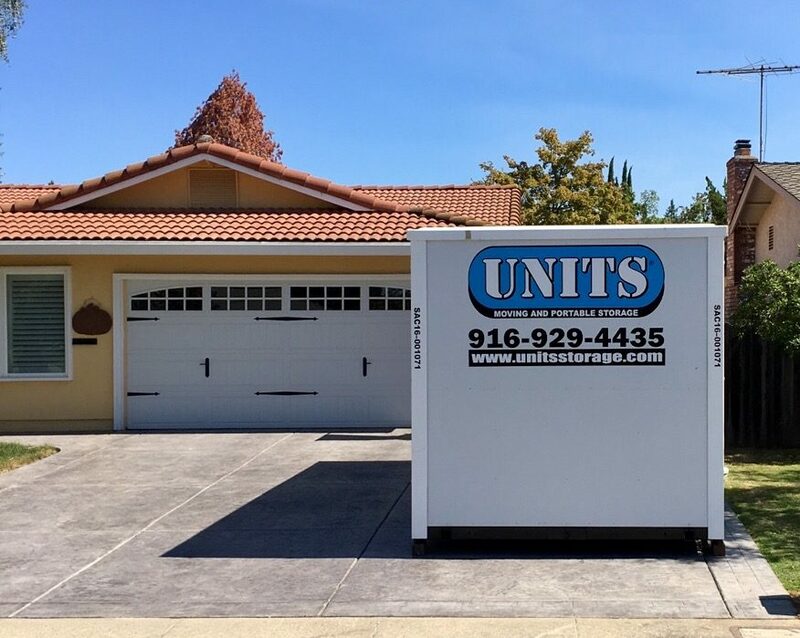 UNITS of Sacramento caters to each customer’s situation like it was one of their own. The personal touch UNITS puts into each reservation ensures our customers moving and storage experience is second to none. Many times customers find out that one mobile storage container may not be enough and are pressed for time. UNITS is prepared for this, as we ask these questions from the start so we’re ready to deliver another container the day of your move so you’re not waiting day’s in-between. It’s these things that make UNITS Moving & Storage of Sacramento the best choice. 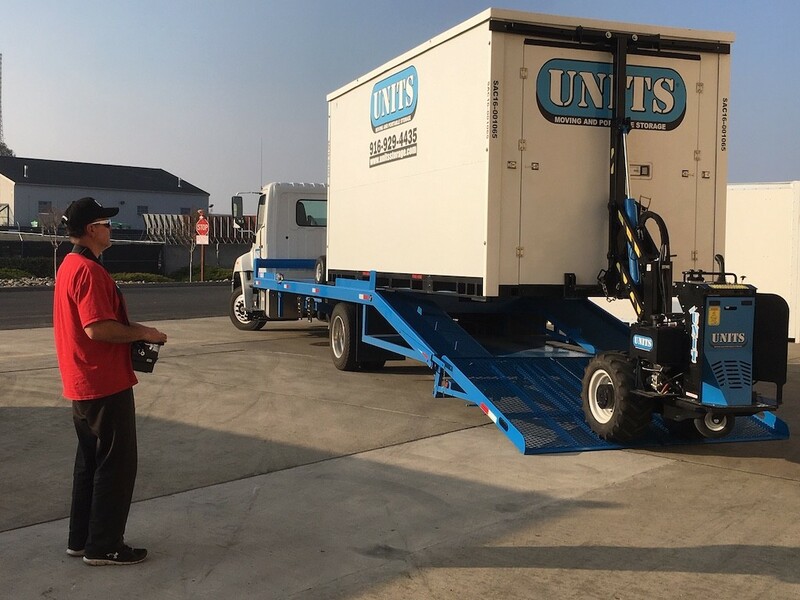 UNITS Portable Storage can supply any and all of your storage requirements. Whether you’re doing a remodel to your home or business, staging a home for sale, or waiting for your new home to be built… UNITS offers you convenient, cost-efficient, no hassle storage. Our secure and weatherproof portable storage containers can be stored at your location or inside our 22,000 square foot Storage Facility. Moving and Portable Storage in the Sacramento area has never been so laid back. We do all the driving which lets you focus on other important things. No waiting in line, or calling multiple locations to check truck availability. Make just one call to our local office and a UNITS Portable Storage container will arrive at your door! Don’t waste hours searching and calling Traditional Moving Companies just to find out they aren’t available the date you want to move. UNITS Moving and Portable Storage will take the stress out of it. Our moving process is as easy as one, two, three, so contact our office or submit a quote online. When you speak to one of our local representatives, you can schedule the date and time to have your UNITS container delivered. Once your UNIT is loaded up, we can relocate it directly to your new residence or business or have it stored back at our storage facility until you are ready for redelivery. No matter what type of business you have, you can never have enough storage space. 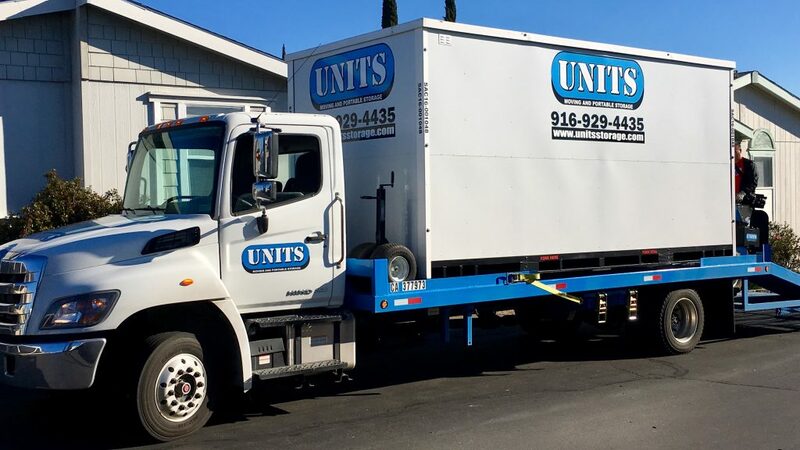 UNITS of Sacramento has helped hundreds of business maximize their efficiencies by supplying them with additional storage space. 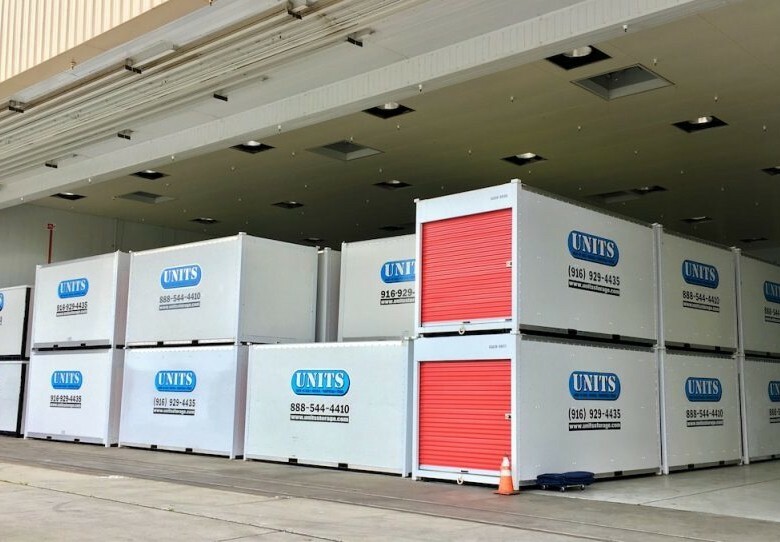 Whether it’s additional seasonal storage space for a local Flower Shop around Valentine’s Day or UPS Stores for the onslaught of additional shipping over the Holidays, UNITS is here to help. Moving in Sacramento has never been so easy with UNITS Moving and Portable Storage. Traditional moving and self-storage is a thing of the past. Who wants to rent and drive an oversized moving truck, or have to walk up and down step loading ramps all day? UNITS Moving and Portable Storage offers you the convenience to move in one day, several days, a week or a month, you don’t have to get it done in one day to avoid additional truck rental fees. The City of Sacramento is no stranger to rivers and flooding. Each year local people run the risk of flooding waters from the Sacramento and American Rivers, not to mention the various small creeks and streams throughout the area. Almost every other year, we receive phone calls from local people living on Garden Highway, requesting our portable storage containers for onsite storage to be delivered on the higher ground. The river floods the bank and encroaches the homeowners’ garage and basement. Our mobile storage containers are great onsite storage options when the water rises. Keep your things safe and dry until the threat of flooding subsides. UNITS storage containers are a convenient way to store your personal belongings. UNITS offers month to month storage without any contractual obligation. Storage requirements can range from a few days, weeks, months or years. Since our facility is located in McClellan AFB, we also help our military personnel store their stuff while they are on active duty. From Travis AFB, Beal AFB and Mather AFB, we have our troops back, offering them peace of mind knowing their personal belongings will be safely stored inside our secure Warehouse Storage Facility.